A couple of posts ago, I admitted to being a "burgaholic". 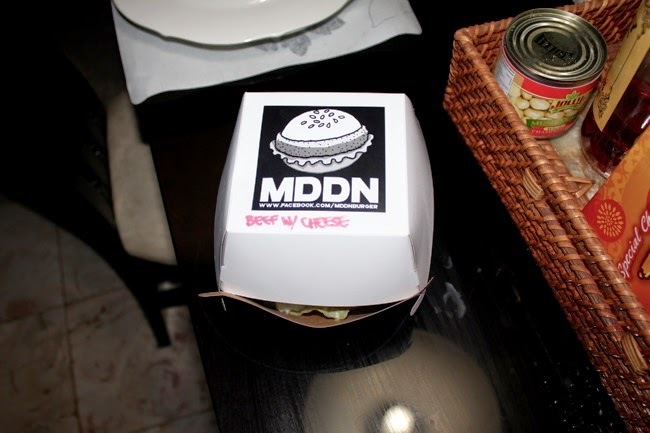 I guess someone from MDDN Burger read my post and they asked me to try out their burgers. I obliged and I became an instant fan. 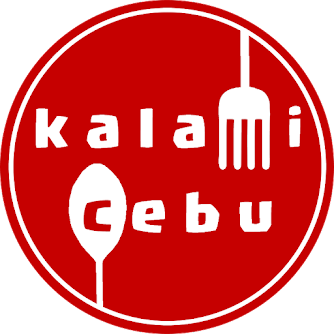 I can say they have one of the best food delivery services in Cebu. 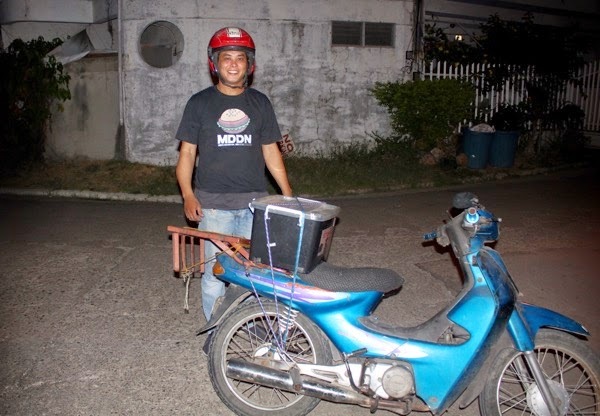 Jonas, the delivery guy was very friendly and he easily found my house, despite driving from Echavez. 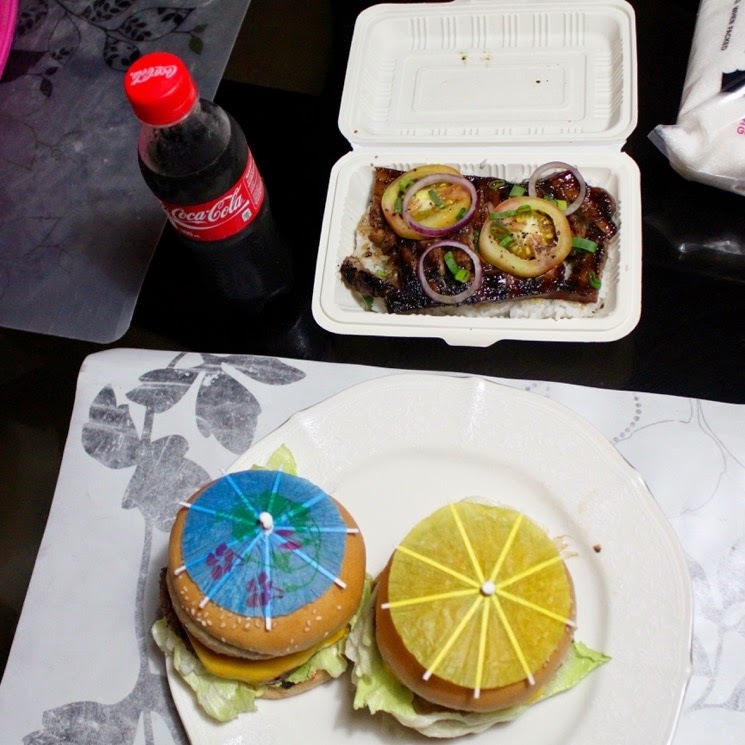 I received 2 burgers, 1 grilled pork belly and a bottle of coke. I knew right there and then that I will have one filling meal and I would need reinforcements to finish it all. 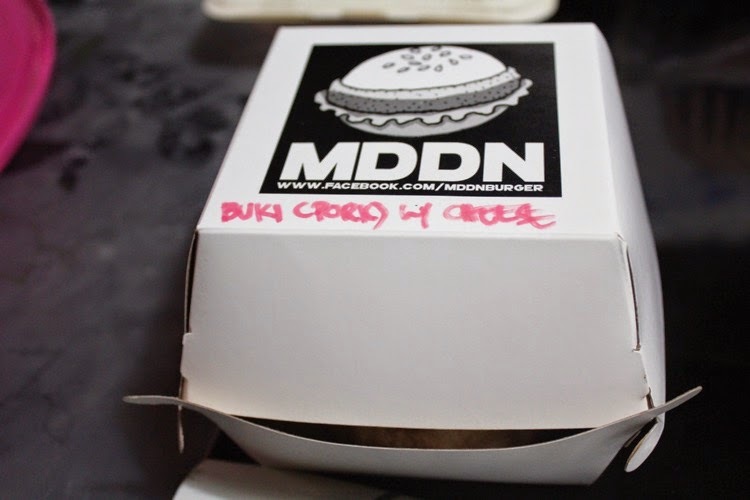 Good thing my wife was there to help me enjoy the goodies from MDDN Burger. The Beef Burger with Cheese was the first item I opened. The burger looked amazing even though it was transported via motorcycle. The umbrella toothpick reminded of a delicious cocktail drink, but it served its purpose by making the MDDN Burger retain its shape. The size was big enough as a meal of a grown man. The burger patty was thick and it was topped with melted cheese, onion, tomatoes and their special sauce. The burger had lettuce too. All I can say is that the burger travels well. It was scrumptious. The burger patty was juicy and I really love the hint of taco seasoning in the beef burger. 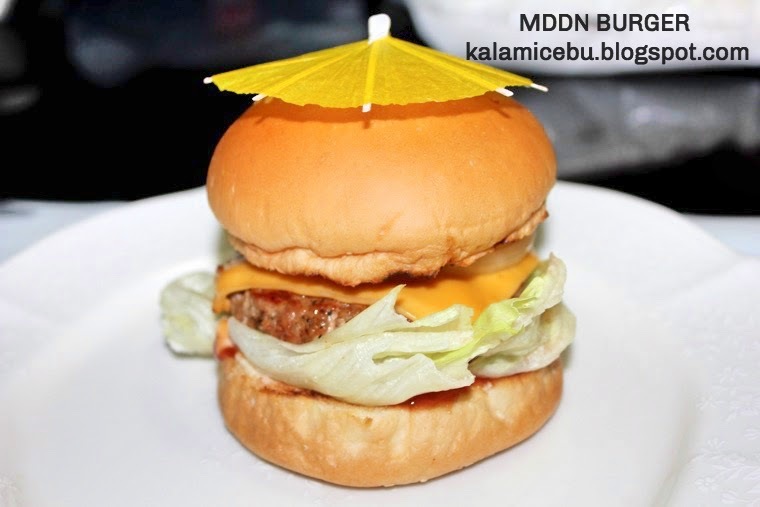 MDDN Buki Burger with Cheese also tastes wonderful. For people who do not like beef, this is one of the best pork alternatives available. The Buki Burger has a pork patty. It tastes a bit milder than the beef version. I enjoyed the mustard flavor of this burger. I know a lot of people who prefers rice meals over burgers for dinner and MDDN has a treat for these people. The MDDN Beer Belly Meal is a favorite among MDDN's loyal patrons according to Jonas. 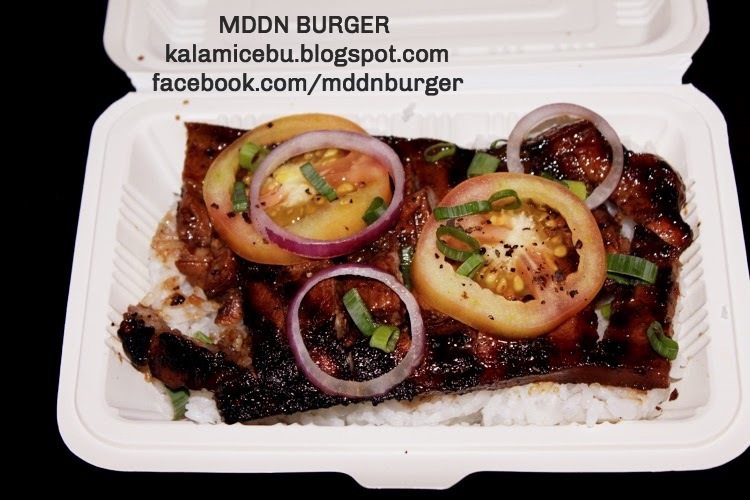 Their pork belly meal is made of rice, topped with two generous slices of beer-marinated pork belly that is garnished with onions, tomatoes, scallions, and spice powder. My wife thoroughly enjoyed it. I loved its flavor profile, especially its spiciness. The Beer Belly Meal includes a bottle of Coke. 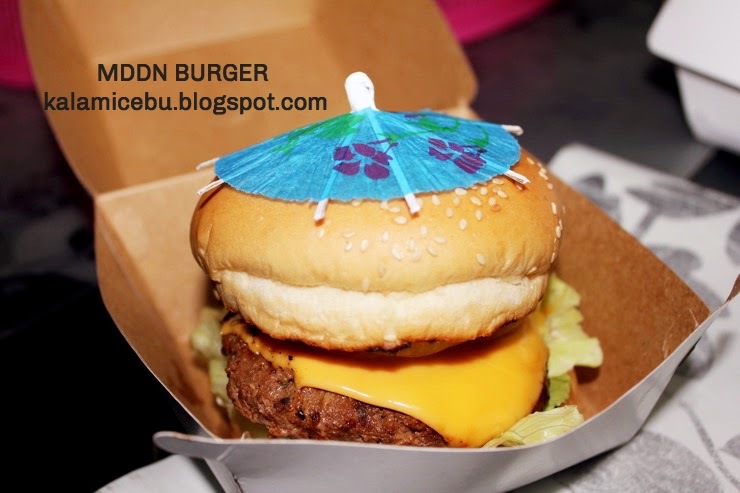 MDDN Burgers deliveries for FREE within Cebu City proper for a minimum order of 3 food items. Food pick-up is also available upon request. 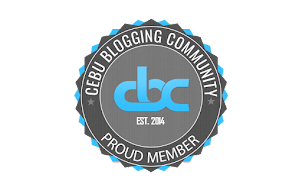 For more information, you text 0915-5303394. 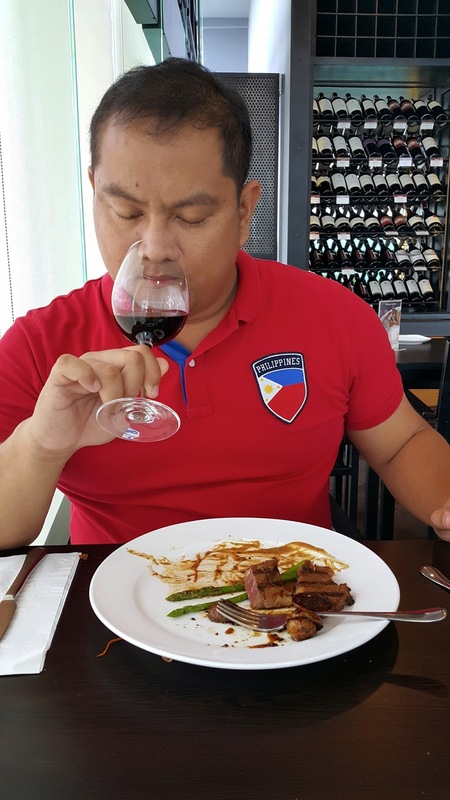 I had a great meal and I am very sure that one of these days, I will call 0915-5303394 to have some delicious burger and pork belly meal. I want to try their burgers with bacon. I really love their flavors and how their food retain its appetizing look and taste, even after a 10-15 minute motorcycle ride. MDDN was definitely more than "good enough". 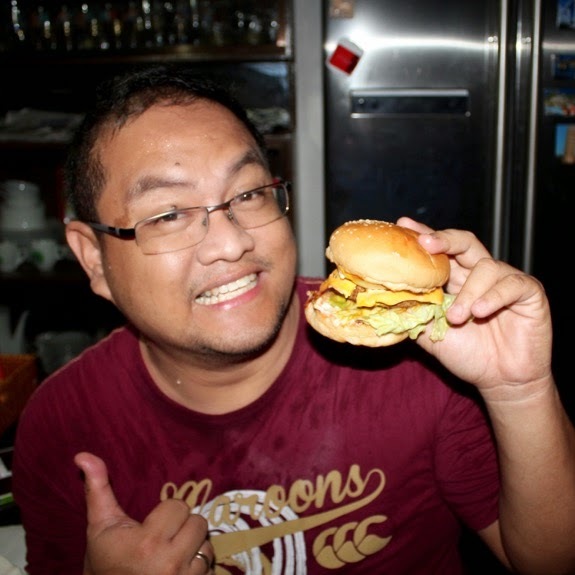 It gives that feel of eating a "homemade" burger in the comforts of your home. 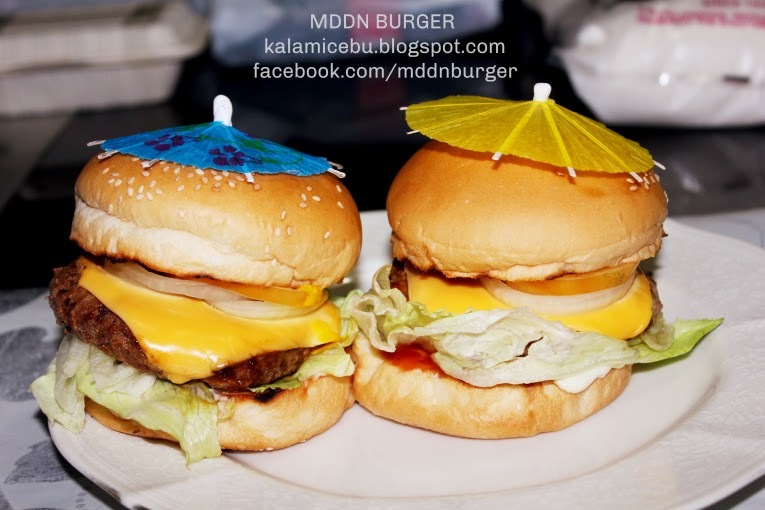 MDDN Burger is a good meal during movie nights at home or meal breaks for call center agents. 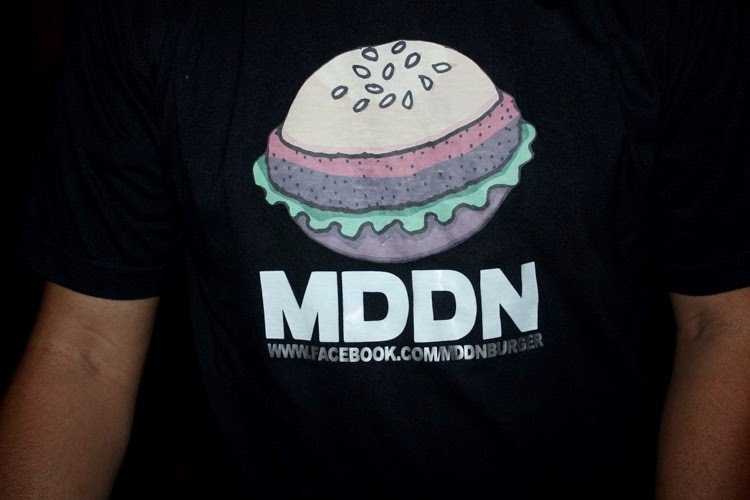 MDDN Burger is now No.1 on my list when it comes to food deliveries. Try it out and tell me what you think about their food.